You are constantly surrounded by many different things on this planet earth. Most of the time, we take all these for granted. Your surroundings, be it living or non-living, the geographical area where you live etc. constitute your environment. Do you think there is a need to protect the environment? Have you ever given thought to the aftereffects that will plague for not addressing the environmental issues on time? Let us analyse in brief the various environmental issues that are plaguing our current world as well as the harmful effects of these issues on the human population. Any human activity brings along with it, many side effects. One aspect of it could bring about development while the other side of the coin could be a detrimental effect. These unfavourable changes often lead to environmental issues that affect the natural balance of the environment. We can define environmental issues as the harmful effects of any human activity on the environment. This includes both the biological and physical aspects of the environment. Air pollution, water pollution, natural environment pollution, garbage pollution etc. are some of the major environmental issues that are causing immense concern. To tackle these environmental issues, protecting the environment is very vital. This not only helps in preventing the detrimental effects but also helps us to conserve the natural resources and natural environment for the future generations. Protection of the environment is not only a social movement but is also backed by various laws that have been passed to ensure that humans do not misuse the resources any longer. Some of the major environmental issues that are causing immense concern are environmental pollution, air pollution, water pollution, garbage pollution, noise pollution, deforestation, resource depletion, climate change etc. Most of these have resulted as a result of human overpopulation and also the indiscriminate of natural resources without conserving them. Learn more about the Effects of Human Activites of Environment. Pollution in all forms is a major environmental issue in India. Any undesirable change in the environment, air, water, land, soil, etc. can be termed as pollution. These changes could be in the physical, chemical or even biological changes. The agents that bring about or cause this pollution are called pollutants. In India, there are many laws that help in curbing pollution. These laws are intended to protect the environment as well as improve its quality. One such act is the Environment (Protection) Act, 1986. 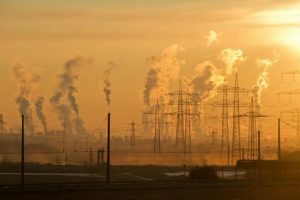 Air Pollution – When the atmosphere is filled with toxic gases released as result of industrial or other economic activities, it results in polluting the atmosphere and the air in the environment. This is nothing but air pollution. Water Pollution – With the natural water resources depleting day by day, water is a scarce commodity. 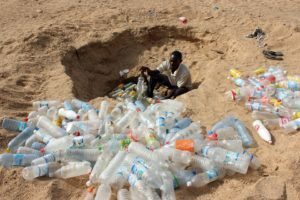 But, even in these times, the water sources are polluted by pollutants from various sources, making them unfit for human consumption. Garbage Pollution – When we do not adhere to proper waste disposal mechanisms, waste accumulates, causing garbage pollution. So the only way to address this issue is to ensure a proper waste disposal system that does not contaminate the environment. Q: Is deforestation an environmental issue? Why? Ans. Yes, Deforestation is an environmental issue. Forests have an important role to play in the ecology of an environment. Natural forests act as biodiversity reserves. They are also carbon sinks, helping in keeping out carbon from the atmosphere and oceans. Carbon dioxide and other gases, in turn, cause global warming and climate changes. And therefore destroying forests have a detrimental issue on the environment. Have a doubt at 3 am? Our experts are available 24x7. Connect with a tutor instantly and get your concepts cleared in less than 3 steps. Watch lectures, practise questions and take tests on the go.